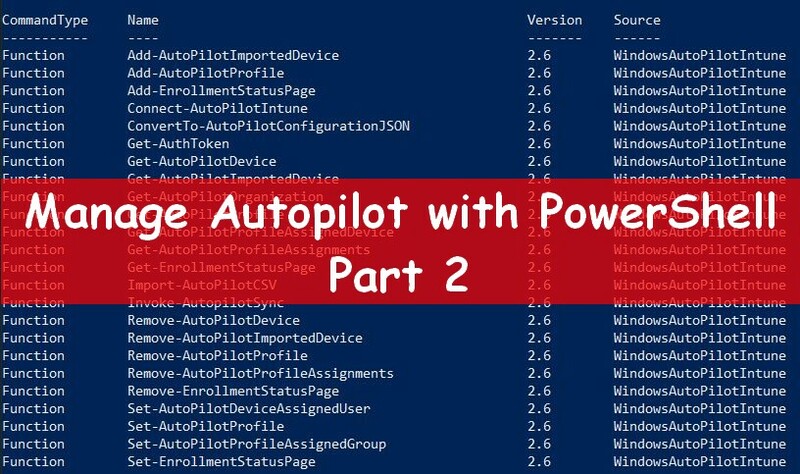 In this post I will show you a revised version of the "MDT Application manager tool". 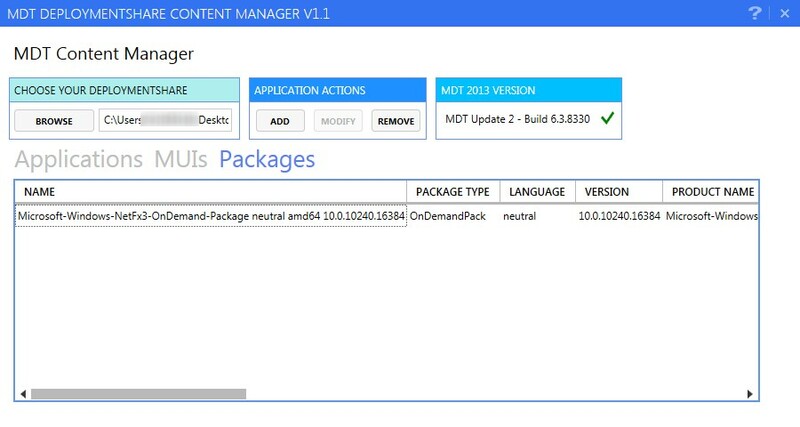 This new version allows you to add packages (Language Packs or Security packages) to your DeploymentShare. 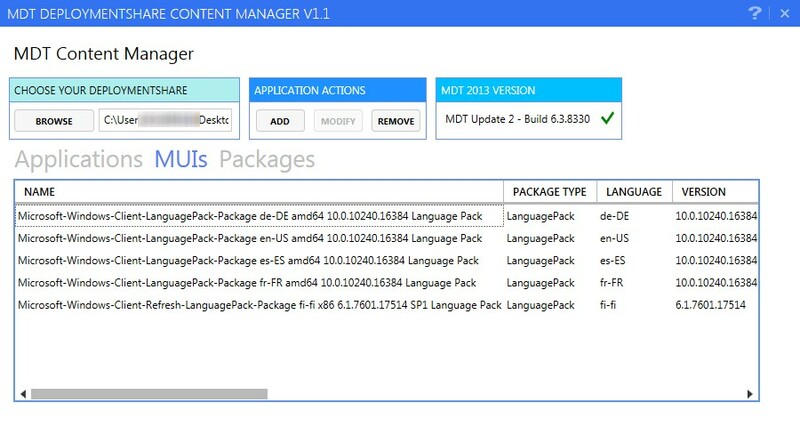 Which version of MDT is supported ? How to download the tool ? 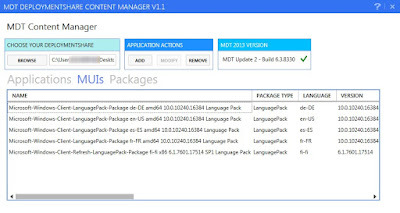 The "MUI" part will display only packages from the "packages.xml" where the ApplicationType is set to "LanguagePack". 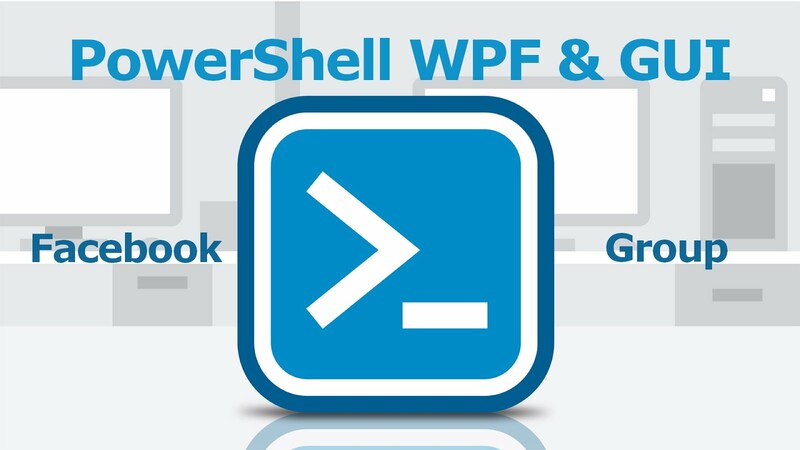 The "Packages" part will display only packages from the "packages.xml" where the ApplicationType is set to "OnDemandPack". How to add MUI and package ? 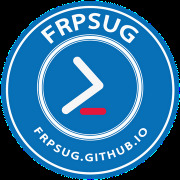 2 / Browse to your package sources. Select the folder and not the msu or cab file. 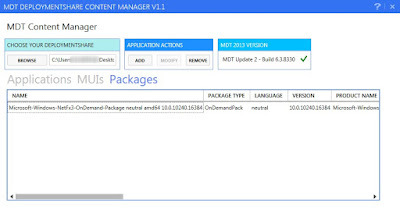 3 / Click on "Add MUI" or "Add package"